Amidst rapid developments in technology and an increasingly competitive job market, access to quality education is a critical actor in supporting the future of Indonesian youth. In support of improving quality education, NHK Educational - the educational arm of the Japanese television network NHK - and Kopernik are collaborating with Bina Nusantara to introduce an innovative video-based learning method that promotes the active learning of students by shifting teachers’ mindset from a one-way teaching model to increasing the participation of students. Since early 2017, NHK Educational and Kopernik have been working on the development of science video materials for students in grades 5 to 8 that are appropriate for the local context, as well as organizing workshops to support capacity development of teachers. This initiative is supported by funding from Japan International Cooperation Agency (JICA) NHK Educational in collaboration with Hiroshima University. On 21 February 2019, NHK Educational and Kopernik organized workshops and mock classes to introduce the interactive video-based learning method to 50 teachers in the Bina Nusantara network in the Greater Jakarta area. “NHK Educational is very happy to share knowledge with Indonesian teachers on the video-based learning method. Usage of interactive video in classrooms can help the learning process to become more active and fun so that students are inspired to think and achieve optimal study results, especially in strategic subjects such as natural science”, said Shinichi Takeuchi, Media Learning Division Director, NHK Educational. 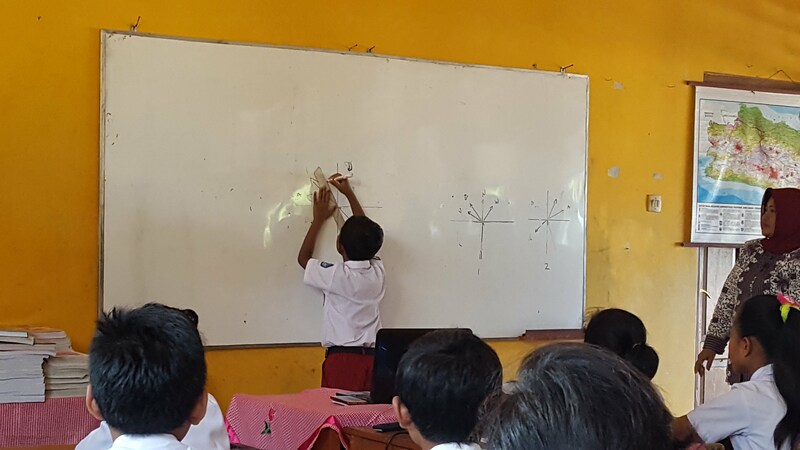 NHK Educational and Kopernik have also worked with Universitas Pendidikan Indonesia and Ministry of Education and Culture to facilitate workshops and mock classes with teachers from 12 schools in West Java. In Japan, NHK Educational and NHK have produced an educational video series – “NHK for School” – that has been widely used as a learning medium across a wide range of topics, from arts to natural sciences. “Kopernik believes that everyone deserves access to quality education. We are proud to work with NHK Educational and Bina Nusantara in developing the active learning method to support the education of Indonesia’s young generation. The teachers at Bina Nusantara were very enthusiastic during the workshop and some were already planning to adopt the method in their classrooms,” said Hiromi Tengeji, Representative Director, Kopernik Japan. In 2018, Kopernik and NHK Educational organized a workshop and mock classes on video-based learning with teachers from 12 schools in West Java.